Day 11 of desktop’s ’12 Days of Christmas’ competition. Today’s competition is only open to subscribers of desktop’s weekly enewsletter (subscribe above now and then enter). Hampers are a great idea when they’re not synonymous with laundry, but sometimes so poorly executed. For example, take the Christmas Food Hamper and it’s infatuation with horseradish relish. News flash it’s 2011, our pallets have evolved – horseradish is so passe. But every year we’re gifted another jar and one step closer to accidentally opening a horseradish relish conservatory. Save some pantry space this festive season and make the switch to the stationery hamper. 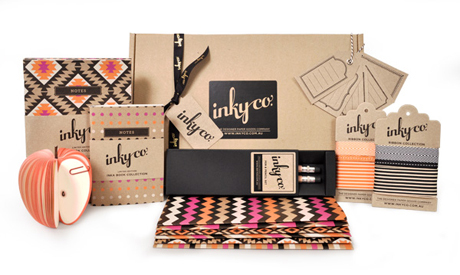 Inky Co. is a new Melbourne-based online stationery store, offering the best quince-free-hampers of them all, the Inka Azure and Inka Earth gift hampers. The contents of the hampers include fruit shaped notebooks, wrapping paper, pens, pencils, gift tags and an organza ribbon set, and it’s all neatly packaged in a brown card board box. *Only open to residents in Australia. Who knew that stationery could get better and better! 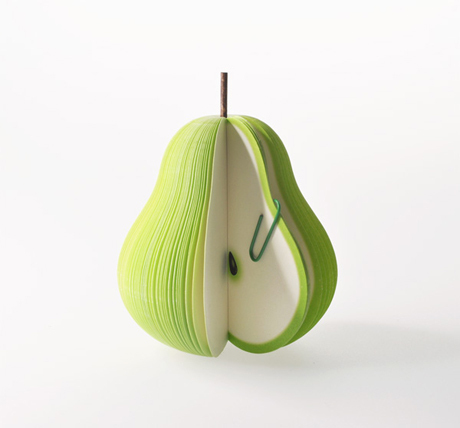 Ah, love the pear notes – a fruitful reminder… ha!!! I’d love to get my teeth into this stationary! this is a great hamper! Yes please! Love inky co! I couldn’t think of a better hamper! Such a good idea for designers and creatives! Stationery hampers…the best christmas gift! Wow what an amazingly gorgeous prize. Thanks for the chance to win it! Loving the stationery theme! This is gorgeous. Could this get any better!! I work in a stationery store but this stuff is so much cooler than anything we stock! Is there a Banana flavour? I love inky co. They are awesome! Thanks for the opportunity, desktop mag. ooh la la. Yes thanks. That would do nicely. I love inky co and now I love Desktop magazine! That’s so awesome, I love them! I just want to munch on the pear and apple notes! Nothing makes me happier than stationery! Except maybe stationery shaped like apples and pears! 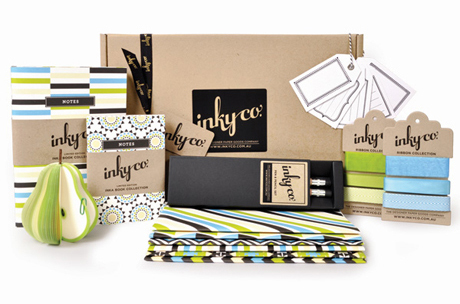 Just read About Inky Co. My daughter’s name is Chloe too.. What an inspiring idea – mother & daughter collaboration! These are gorgeous, I love them! i am in need of organising. this well help my problem. help me help myself. yes please. these would look awesome in my brand new studio!! 2012 is going to be filled with lots of pretty paper products! 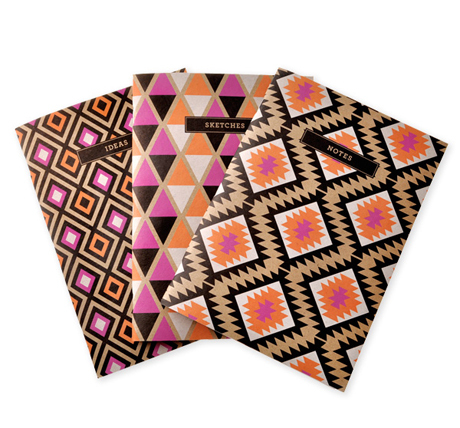 Simply stunning stationery. A set of this lot will make the account managers in my office very jealous! it makes Kikki K look like it’s from Borders! Q. What did the boy said to the ruler? Oh, these are a fantastic gift idea. A great alternative to the usual (aka boring) Christmas hamper! I have now subscribed to the weekly newsletter.